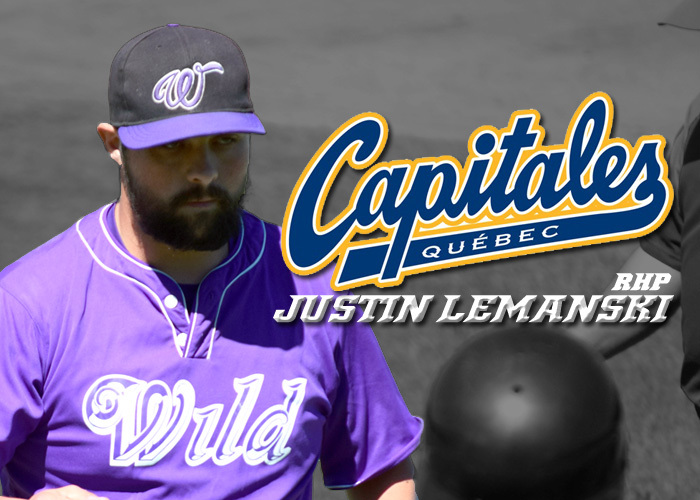 TAMPA FL – Just days after the season is over, Justin Lemanski was awarded reliever of the year in the Empire League. He will now move on to play at the next level with the Quebec Capitales of the CanAm League. Lemanski posted outstanding numbers for the New Hampshire Wild as a reliever tossing 25 innings of work posting a 1.44 ERA with a record of (2-0). Lemanski was lights out all season long throwing a lot of strikes. In the 25 innings he struck out a total of 25 batters. What a week it has been for Justin as it just so happens that today is his Birthday. Not only was he clutch for the Wild but he was awarded reliever of the year and now will be playing at a high level of baseball. The Empire League wishes Justin the best of Luck and look forward to continued success.